These are a few of our basic seed cheese recipes that we have evolved and customized over the years of seed cheese-making. We began close to 15 years ago with the first original recipe created in the 1960's by living food enthusiast Dr. Ann Wigmore, the founder of the Hippocrates Health Institute. This version was a short 4-12 hour ferment using mostly sunflower seeds, and sometimes pumpkin seeds, which produced a soft ricotta-style cheese spread. Since then, however, we have moved beyond this traditionally cultured variety, adding other ingredients as well as allowing the cheese to "age" for at least 48 hours (or longer) to develop a firm sliceable texture very close to the sharp taste of milk cheese. Using different types of seeds, in addition to nut combinations, also produces unique and savory flavors comparable to cheddar, feta or gouda. 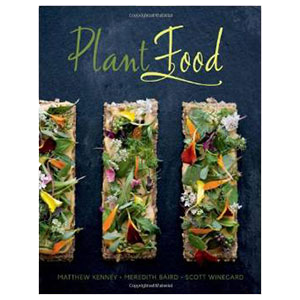 One of the leading authorities in the nut and seed cheese-making world is raw food chef and recipe book author Matthew Kenney, owner of the famed New York raw organic restaurant Pure Food and Wine. He has, over the years, experimented extensively with making gourmet vegan cheeses and was quoted in a published LA Weekly article stating that most cheeses he serves are actually cultured "between 3-4 weeks." 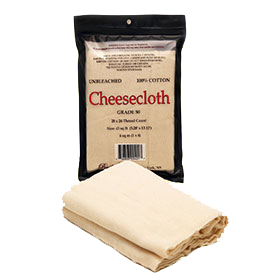 These types of seed and nut cheeses are made much the same way you would make dairy cheese by separating the curds from the whey, using the same cheese-making methods that have been employed for centuries. 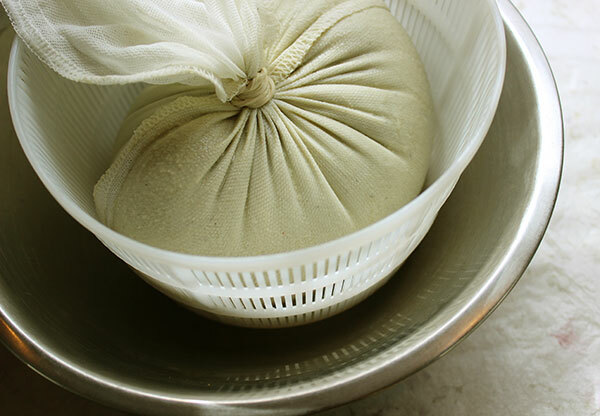 When making seed cheese recipes, the blended seed and nut mixture is placed into a mesh nut milk bag and pressure is applied to remove the liquid whey from the protein and fat solids. This is essentially the same process used to make dairy cheese, which is normally accomplished by packing the curds into a mold and applying a weight on top of a "follower", a flat heavy object that pushes the curds down evenly to release the whey liquid through tiny holes in the mold form. Unlike dairy cheeses, these raw vegan versions are not made with seed or nut "milk" because they have a better flavor and texture when created with the whole seeds or nuts. The blended mixture is then strained over a period of time to reduce the whey content and intensify the sharpness of the cheese. 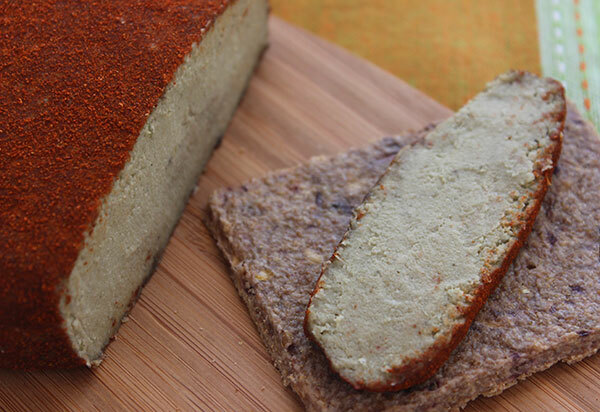 Homemade seed and nut cheeses are made using either a powdered probiotic supplement or culture starter to age the cheese, which also protects it from contamination. 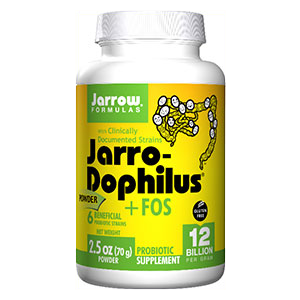 These powders contain Lactobacillus and Bifidobacterium strains like, L. acidophilus and B. lactis as well as many others. 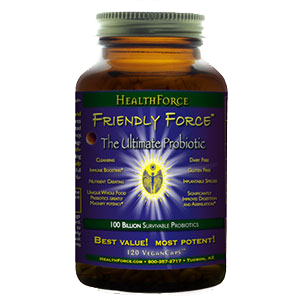 The probiotics can be purchased as a bulk powder but usually come in capsule form which can be opened up into the cheese blend. To culture the cheese it takes 2 capsules (about 1/4t) per 2 cups of dry seeds or nuts. 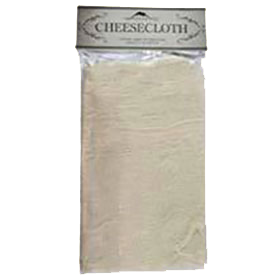 We have found that to make sliceable seed cheese recipes it is best to ferment the blended seed mixture in a fine mesh bag or nut milk bag. These are reusable bags, usually around $10, that will help to separate the curds from the whey and strain out most of the liquid, especially when pressure is applied. For more about seed cheese visit our seed cheese page. 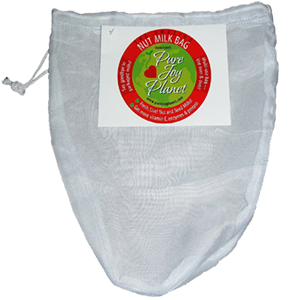 The average nut milk bag is made out of a nylon or hemp fabric and can be wash after use and will survive many years of seed cheese-making. 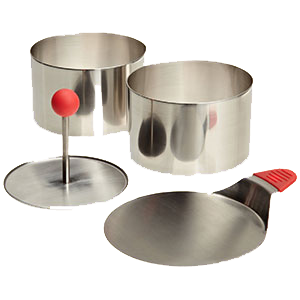 They can also additionally be used to make nut milk or fresh juices. For short ferments like the traditional seed cheese recipe, or our cream cheese or Parmesan recipes below, a one-quart mason jar with a non-metallic mesh sprouting lid works well. The jar is then turned upside down and tilted in a dish to drain out the liquid content. 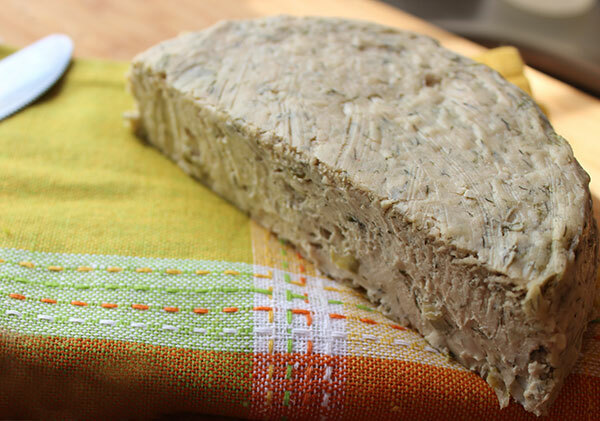 Seed and nut cheeses can be set in molds after fermentation time and refrigerated to create different shapes, logs or cheese wheels that can be later sliced. 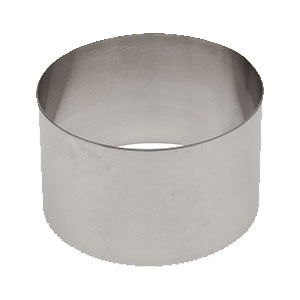 We have found that ring molds are best for achieving smooth rounded edges, but you can also use various bowls or containers that are either shallow, deep, round, square or oblong. 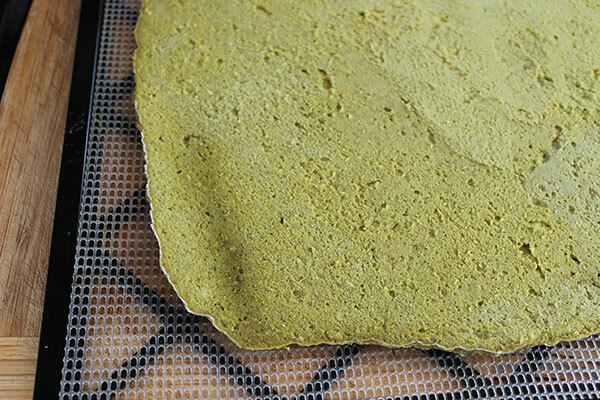 Some raw gourmet chefs, like Matthew Kenney, additionally put the form-molded cheese into a dehydrator to produce a thick rind on the outside. You can likewise cover your molded creations in pepper, various spices or a different assortment of chopped nuts and seeds. We make dense sliceable cultured vegan cheeses by fitting a nut milk bag inside a colander and placing the blended mix inside the bag. After tightly securing the opening by spinning it several times and tying with a rubber band, we turn the cheese filled bag with the rubber band pointed to the side before adding a weight. 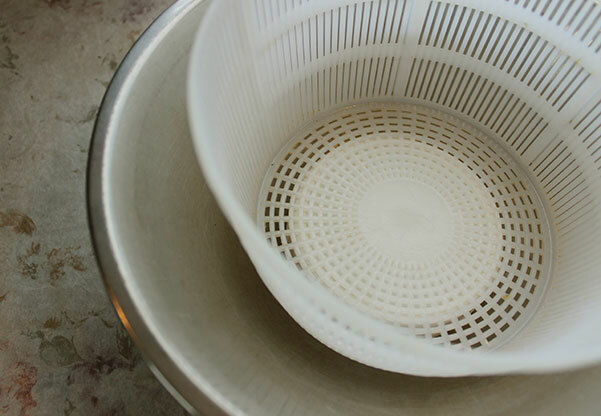 The colander should sit inside a bowl to collect the liquid whey that is released over time, at least 2 days. 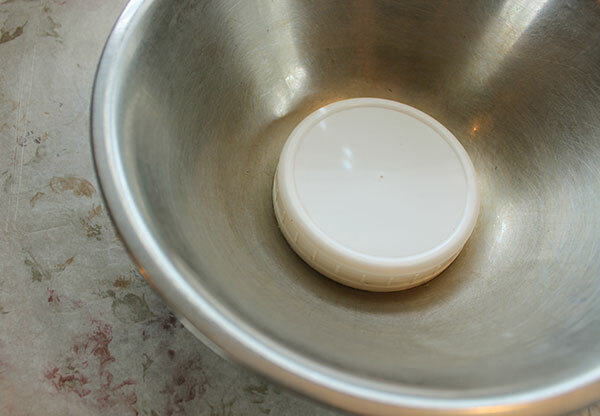 It is also beneficial to put a jar lid on the bottom of the bowl to elevate the cheese so it is not sitting in liquid. Place a flat object on top to evenly distribute the weight. To apply pressure, which will help squeeze out the moisture content, you will need to place a heavy weighted object on top. Glass jars filled with water work well for this purpose. 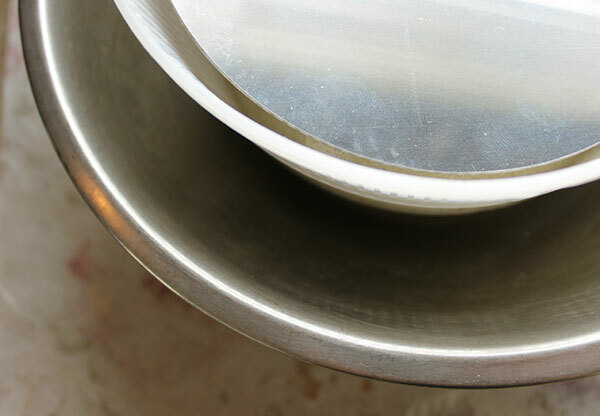 Keep in mind, the more pressure you apply and the longer they ferment the firmer your cheeses will become. In any of these recipes you can use different blends of nuts and seeds depending on your taste preference and/or unique health goals. Some seeds or nuts like sunflower, pumpkin and almond are less acidic than other varieties and better for those with candida overgrowth or comprised immune functions. This cheese can be made like a soft ricotta-type cheese or can also be cultured for 48 hours to produce a firm sliceable seed cheese. In this recipe we give directions for both methods. Instead of the probiotic culture, you can also use rejuvelac, which is the original way it was created by Dr. Ann Wigmore in the 60's. Place pumpkin and sunflower seeds into a 1-quart jar. Add pure water, filling the jar. Soak overnight and strain out liquid. Rinse again with pure water. Blend in a high-speed blender with as little water as needed to thoroughly blend seeds, probiotic powder, sea salt and herbs. 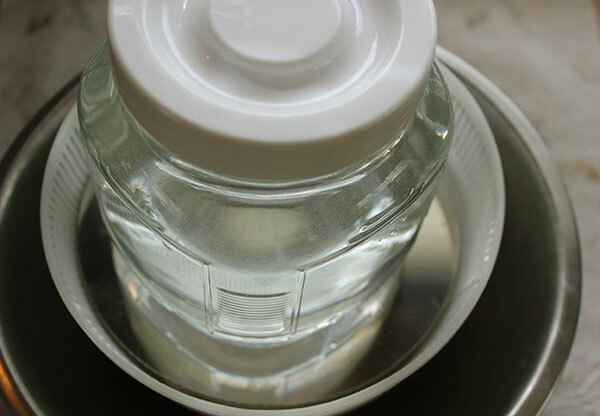 Pour into 1-quart jar and place a non-metallic mesh lid on top, cover with a clean cloth and place on a dish. 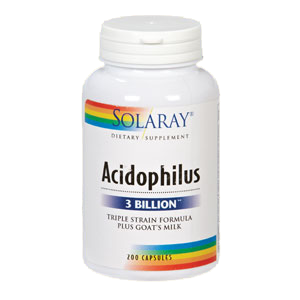 Let it sit on your counter top or on a shelf for 4-12 hours or longer depending on the room temperature. Warmer temps help it to ferment faster. 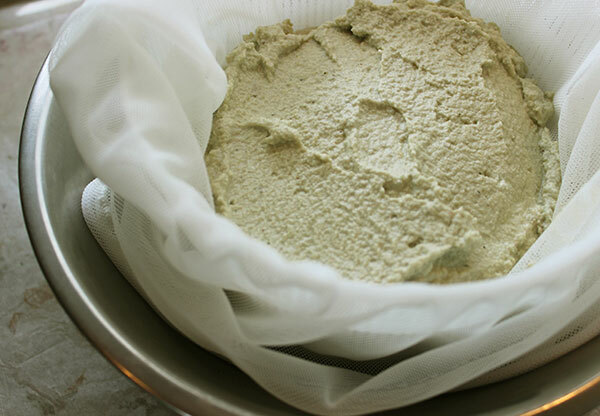 During the last half of the fermentation time, turn upside down, tilted sideways into a bowl, and let the whey liquid drain out through the mesh lid. You can usually tell when it's done when it has risen slightly in the jar. If you ferment it too long it may ooze over the sides. Place a lid on the jar and store it in the fridge. This will stop the fermentation process. 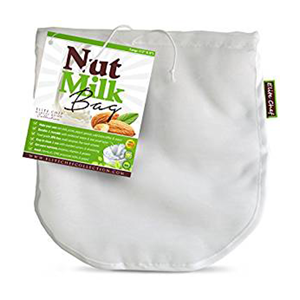 Pour into a nut milk bag that is in a colander inside a bowel with a lid at the bottom to elevate it. Twist the mesh bag and secure with a rubber band. Place a heavy flat object or "follower" over the cheese ball and place heavy weight on top. 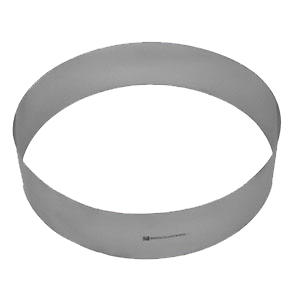 Allow to culture for 48 hours below 75°F (24°C). Form the cheese using a ring mold. Soak your sunflower and cashews in water overnight using separate jars. 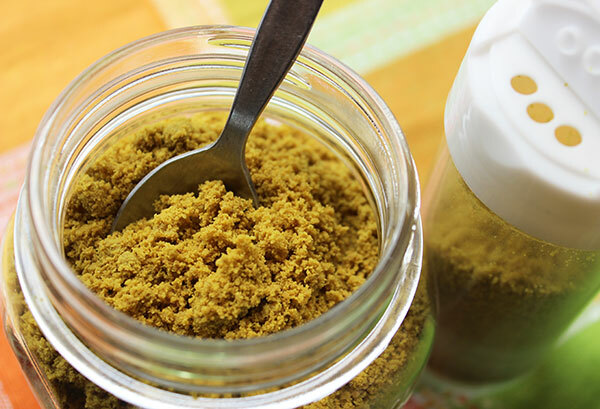 Make irish moss gel following the directions on our irish moss gel recipe page. Strain the sunflower but do not strain cashews, use cashew water in blender. Place in a jar with a mesh lid and allow to culture upside down for 4-8 hours. Place into a cheese mold and allow to set in the refrigerator. After this the cream cheese will gel and slide out of the mold when turned upside down. Place on a serving plate with crackers or in a airtight container for fridge storage. Place seeds into a 1-quart jar. Rinse again in pure water. In a high-speed blender, blend all ingredients with just enough water to blend it smooth. Place in a jar with a mesh lid and allow to culture upside down for 4 hours. 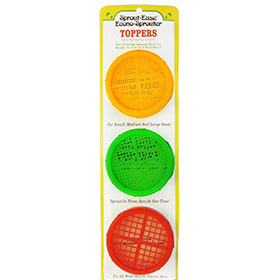 Place on a dehydrator teflex sheet with screen underneath. With a rubber spatula lay out cheese into a squared shape. The thinner it is the faster it will dehydrate. After 4 hours flip over onto the screen and break up into pieces. 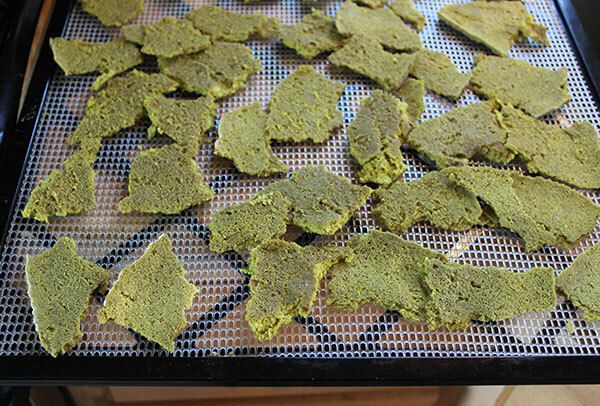 Leave it in the dehydrator on med-low for 24 hours or until dry. Powder the Parmesan pieces in a blender to desired texture. Store in a glass jar or cheese shaker in a cool dry place. It is always good to use high quality organic non-GMO raw seeds and nuts. This means that if you tried to sprout a sunflower seed, for example, it would actually grow another sunflower plant. This assures it has not been genetically modified or heat treated. Most all seeds will sprout when giving the water necessary to do so, but other more fattier nuts, like cashews or macadamia, are more easily germinated when inside their shell. 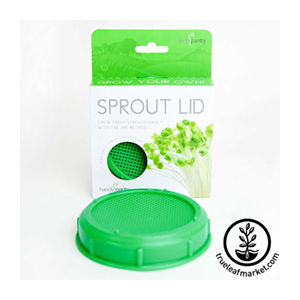 Some people also sprout their seeds before making seed cheese, but it is not required. Can Seed Cheese Go Bad? The probiotic lactic acid bacteria in the ferment helps to protect the seed cheese recipe from contamination or decomposition. But, just like dairy cheese, it can grow other forms of mold over time if not properly stored or fermented at inappropriate temperatures exceeding 75°F (24°C). It is also important to use clean nuts and seeds that have been thoroughly rinsed in pure water. Seed cheese should have a slightly soured fermented scent that smells like aged cheese. It should be discarded if it has an extremely strong off-putting odor. Keep in mind that it is normal for the whey liquid to be a dark color and smell somewhat like sulfur. We usually dispose of the whey, although some people like to use it in other recipes. 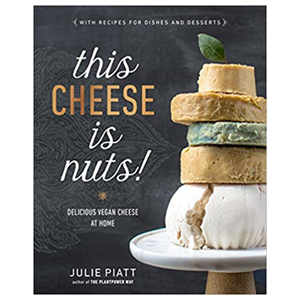 Raw nut and seed cheese recipes are great non-dairy cholesterol-free alternatives made from simple whole foods. They are better than many commercial non-dairy almond, rice or soy cheeses because they are not overly processed or heated, nor do they contain refined oils or fats, preservatives, starches or stabilizers common in packaged products. Fermenting foods, like nuts, seeds and beans, removes toxic digestive inhibitors and further breaks them down into easily digested amino acids and other energizing compounds. Generally, nuts and seeds are harder to assimilate in their natural state because they have phytates that inhibit absorption of various minerals and proteins. 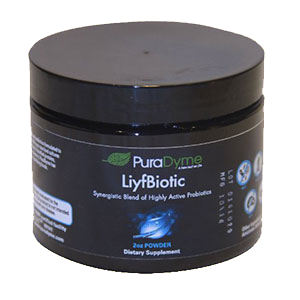 Soaking and rinsing them helps to eliminate some of these digestive inhibitors, but the process of fermentation also greatly improves phytate removal and considerably increases nutritional value. The culturing technique not only creates a delicious cheese-like flavor, but also produces enzymes and beneficial microflora that help to improve digestion and balance intestinal microbiota. Unlike dairy, which tends to create a lot of mucus build-up and sinus conditions, raw vegan cheeses have a tendency to do quite the opposite, providing more of a laxative-like effect that helps to promote regular bowel movements and keeps the colon free of undigested waste material. 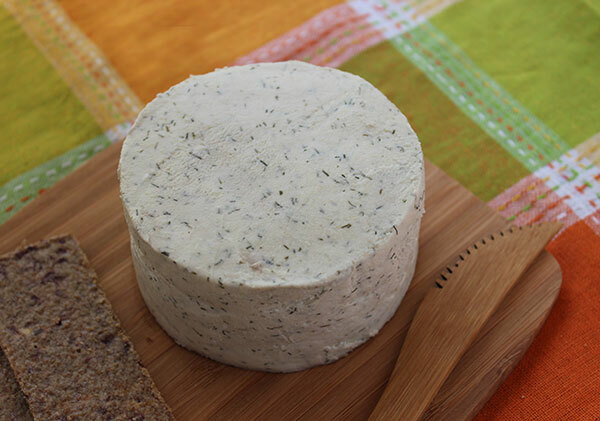 Seed cheese recipes can be enjoyed with raw dehydrated crackers, onion bread, added to salads, raw soups, pizza or wrapped in nori with vegetables. 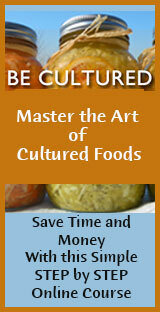 Visit some of our other raw vegan recipes for foods that go well with seed and nut cheeses or recipes that use them. 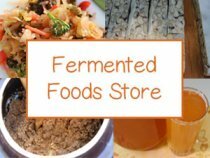 See our fermented food recipes page for our top 7 recipes in the links below. It is, of course, important to avoid seed or nut cheeses if you have severe allergic reactions to different varieties of nuts or seeds. 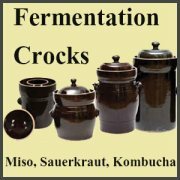 It is also important to consider avoiding food ferments if you have severe allergies to molds.